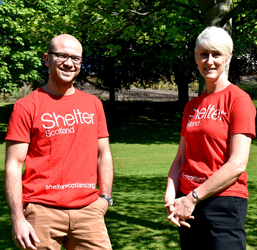 Gildan branded red T-shirt featuring Shelter Scotland logo. Wear this to show your support and join our fight against bad housing and homelessness. 100% cotton.